Fifa has set up a 'normalisation committee' to run the Cameroon Football Federation (Fecafoot). Football's world governing body said it took the the decision after "recent failed attempts by Fifa to reconcile the football stakeholders in Cameroon and overcome the current impasse". The committee will run Fecafoot's daily affairs, draft new statutes and organise elections for a new executive committee by the end of February. There have been internal wrangles in Cameroon since elections in 2015 were annulled by the Cameroon National Sports and Olympic Committee's arbitration chamber. That decision was then confirmed by the Court of Arbitration for Sport (CAS). In June Cameroonian club Etoile Filante de Garoua argued that Fecafoot led by Tombi A Roko Sidiki had no authority to send a team to the Confederations Cup tournament. The complaint was dismissed by Fifa, who also acknowledged there were problems in Cameroon football administration. 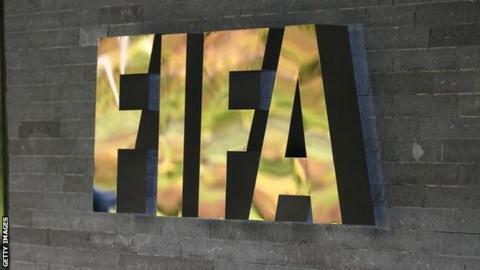 A meeting held in June in Guinea involving Fifa and several stakeholders from Cameroon failed to resolve the issues. It is not the first time that Cameroon has had a Fifa-approved normalisation committee one was established in 2013 after a ban from global football.